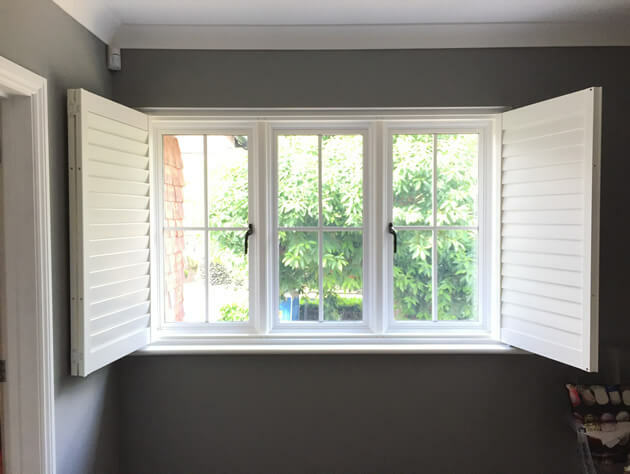 We were at another local property to fit some of our window shutters for a client in Beckenham, Kent. 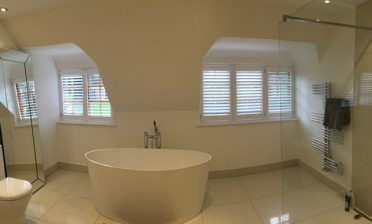 These shutters were to be designed and installed in the bathroom and bedrooms of the home. 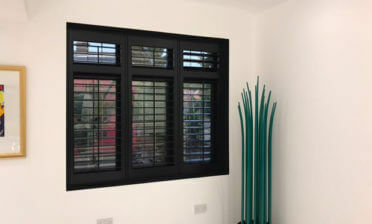 All shutters needed to match in material, style and colour for a match throughout the home. The customer was looking for a modern, good looking window dressing with the added advantages of keeping the rooms cool in the hotter months and for the natural insulation that they can provide throughout the winter. 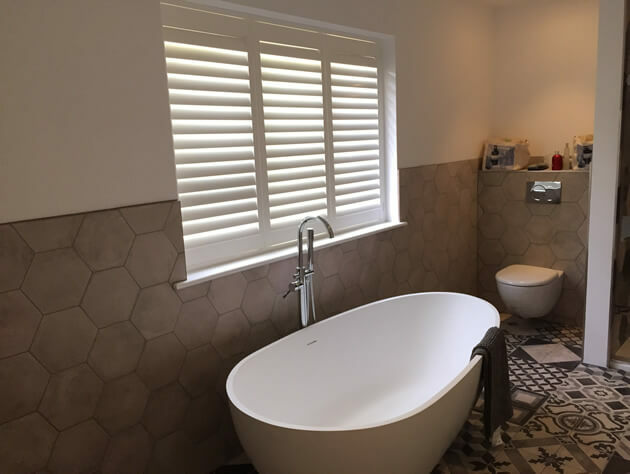 With shutters being installed in the bathroom and bedrooms it was also a great way to add different levels of privacy when required. 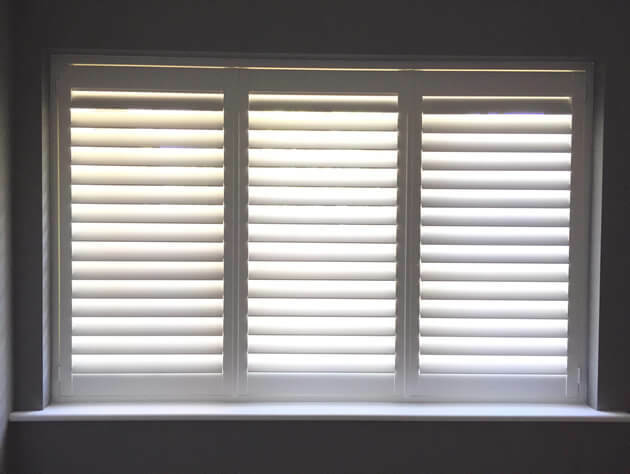 With bespoke made shutters you can achieve near total blackout which standard blinds and curtains just can’t achieve! 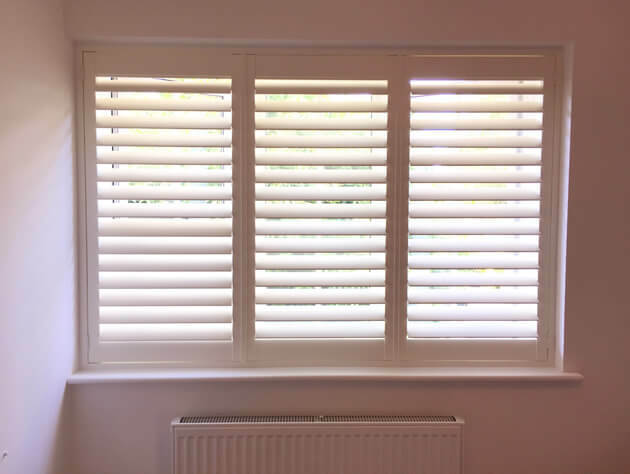 These shutters were created using hardwood from our Cuba Range and full height in style. Combined with a hidden tilt rod system the owners can quickly and easily adjust the whole panel in one go, through the touch of one louvre rather than using a visible tilt rod. 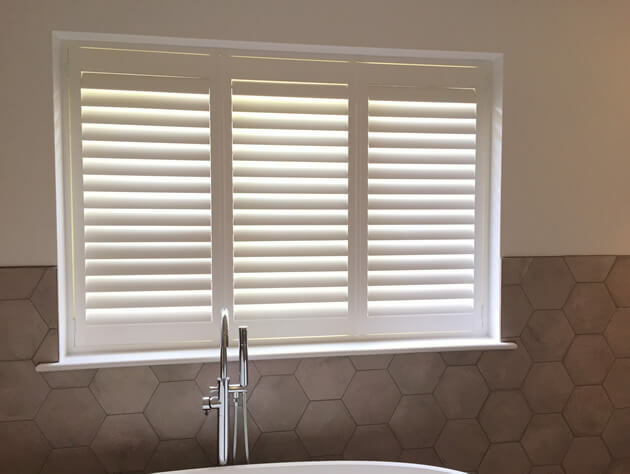 The louvres are 76mm’s in size which is one of the middle thicknesses that we offer. 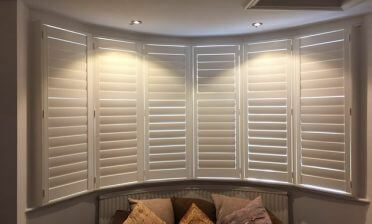 Finished in Pure white with matching hinges these shutters look great in the open, adjusted or fully closed position and work well with each room regardless of the differences in decor.